Biofeedback, quite simply is any technique which takes a measurement of the body, and provides a result. We can measure the oscillations of these factors and as seen by the EEG, ECG, EMG and GSR. The same technological theories that brought us biofeedback in the 1960’s, have also brought devices like the CAT Scan, MRI, TENS, ultra-sound, and many other sophisticated technologies to our healthcare systems. The information measured with a biofeedback device is then “fed-back” to the client, informing them of various physiological parameters and stress responses within the body, and educating them about the need to retrain their body’s stress responses, balance the body electric, make lifestyle changes or learn to control physiological reactions, in order to achieve improved relaxation and better health overall. Health Canada’s reference acknowledges its therapeutic aspects, and is perhaps the most indicative of its powerful potential, calling biofeedback “psycho therapeutic measures for non-pharmacological interventions." In approximately five minutes, the INDIGO Biofeedback System can simultaneously detect and record information about the individual client’s stress reactions. The INDIGO Biofeedback System reveals a client’s voltage, amperage, resistance, hydration, oxygen, proton and electron pressure (VARHOPE) scores; these electrical calculations are important indicators of the health / stress of various different functions in the body. Different lifestyle factors which could be contributing to the body’s overall stress load are reflected in the INDIGO Biofeedback System’s Suppression Obstruction Cure (SOC) scores. Information about reactions to over 11,000 subtle stress related signatures and physiological parameters are also reported for client education. How Can The INDIGO Biofeedback System Help To Improve My Health? The INDIGO Biofeedback System functions in a multitude of ways, it can send signals to measure and record electro-physiological reactions to a multitude of items, re-educate certain muscles, nerves or organs or it can retrain areas of the body / mind to healthier patterns. In other cases, it can invert certain signals which seem to be closely associated with a stress pattern. The INDIGO Biofeedback System is by far the most comprehensive biofeedback system on the market today. Pre-designed stress reduction protocols may be used, or programs can be designed to meet the specific individual needs of each client. There are hundreds of different training programs that may used back-to-back in limitless combination’s to obtain optimum results. Biofeedback instruments measure muscle activity, skin temperature, electrodermal activity (sweat gland activity), respiration, heart rate, heart rate variability, blood pressure, brain electrical activity and blood flow. 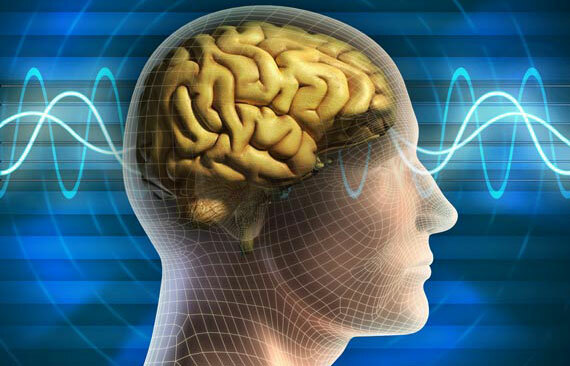 There are many types of biofeedback: GSR, EEG, CAT scan, MRI, etc. These technologies are able to capture the bodies’ analog electrical signals and translate those signals into meaningful information through complex algorithmic software that a technician can then decipher. Research shows that biofeedback, alone and in combination with other behavioral therapies, is effective for treating a variety of medical and psychological disorders. Biofeedback is currently used by physicians, nurses, psychologists, counselors, physical therapists, occupational therapists, a host of other professionals and laypeople alike. In 1987, Schneider found that biofeedback is effective in reducing physician visits, medication usage, duration and frequency of hospital stays, as well as reducing mortality and enhancing quality of life. What's a Biofeedback Session like? The sensors / electrodes comfortably read electrical impulses from the body and send the information to the computer which acts as a monitoring device. The biofeedback practitioner is able to educate the client as to what specific areas of the body / mind are most in need of stress reduction and re-education based on the information translated from the biofeedback device to the computer screen. These data findings allow the client to better understand their reactions to stress and learn how to better control their physiological responses. During an INDIGO Biofeedback session, the biofeedback practitioner is also able to educate the client as to what specific areas of the body / mind are most in need of stress reduction and re-education based on the information translated from the biofeedback device to the computer screen. While the biofeedback process is completely non-invasive and gentle, this powerful stress management support system allows relaxation and increased ability for the body to heal. The body is designed to heal itself! The process of biofeedback is not to heal – but to help the body remember the balanced and stress free state. When it is trained to the healthier patterns of a relaxed state, this process of self-regeneration often happens naturally. Others may need more education, training and support around improving nutrition, exercise and / or sleep patterns, or avoiding addictive substances etc. Generally speaking, the longer a client has held certain stress patterns which are causing them pain or illness, the more sessions they may need to begin re-balancing or re-training those patterns and reactions. Generally, we recommend clients make a commitment to their health by investing in multiple sessions in order to truly see and feel the results.